SOS Children’s Villages International is part of a joint campaign encouraging citizens to vote for ‘Child Rights Champions’ in the upcoming European Parliament elections. #VoteforChildren is a coalition campaign of child rights organizations seeking for children’s issues to top the agenda at the European elections in May 2019. The campaign encourages candidates who run to be elected as a Member of the European Parliament (MEP) to sign a pledge and become ‘Child Rights Champions’. It also encourages citizens in the European Union to vote for candidates committed to ensure children’s rights in the European Union as well as through policies affecting children outside the European Union. Candidates can become Child Rights Champions by pledging to break cycles of poverty and inequality in Europe, invest in children both inside and outside the European Union, listen to children’s voices and involve them in decisions affecting them. Over 50 MEPs already signed up to become a Child Rights Champion on the first day of the campaign. In the context of the campaign, SOS Children’s Villages International specifically addresses children’s rights and shortcomings relevant to children in alternative care and those at risk of losing parental care as well as the need to strengthen families. SOS Children’s Villages International’s involvement includes the promotion of de-institutionalization, informing about family-like care and the need to ensure inclusion of all children in the community. The campaign launched on 4th April in Brussels and was hosted jointly by the Vote for Children coalition and the Child Rights Intergroup in the European Parliament. The Intergroup is a cross-party group of MEPs who work to advance children’s rights within the Parliament. The Vote for Children coalition consists of 14 organisations working on children’s issues. They are ChildFund Alliance, Eurochild, Hope and Homes for Children, Lumos, Missing Children Europe, Plan International, Save the Children, SOS Children’s Villages International, Terre des Hommes, European Youth Forum, PICUM, Scouts, World Vision and UNICEF. You can follow and share on social media using the hash tags #VoteforChildren and #ChildRightsChampion. 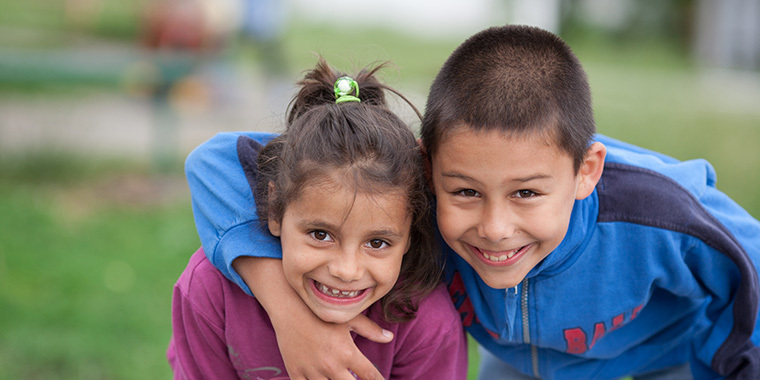 Photo: SOS Children's Village Cisnadie, Romania.